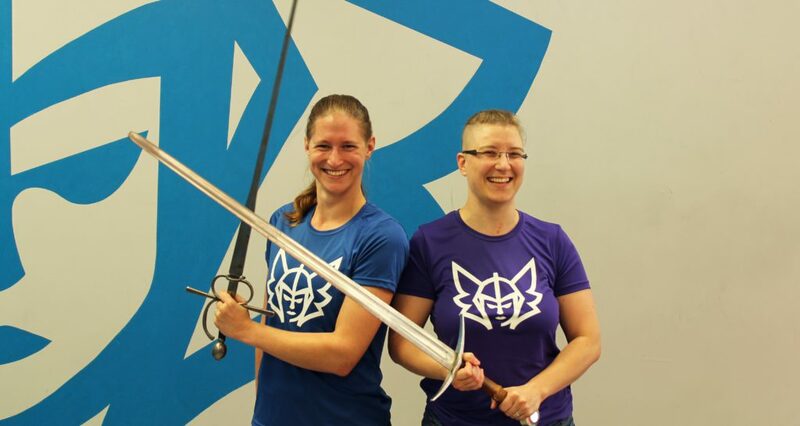 Boxing, wrestling, swordplay and history probably aren’t the first things that come to mind when you think about martial arts, but that’s part of what makes Valkyrie Western Martial Arts Assembly stand out – and standing out is exactly what Co-Founders, Courtney Rice and Kaja Sadowski, do. These female entrepreneurs combined these unusual elements with modern sports coaching and athletic training to start the first Western Martial Arts School in Canada to be owned and operated by women. Their end goal is to give students the tools they need to become stronger, fitter and happier versions of themselves, no matter where they begin or what their background is. Valkyrie’s welcoming nature has established the business as a safe place for women, members of the LGBT community and other frequently marginalized groups to practice martial arts. It’s that devotion to their student base that has created a following that’s supported them from the very beginning. The entrepreneurs praise the community, saying, “[Our students] were with us every step of the way, building the sprung floor, moving drywall around, painting and spackling, and always cheerful and ready to jump in and help, even when we were in the deepest depths of despair.” One student even attributes Valkyrie’s self-defense classes to assisting in save his life, a testimonial that few martial arts schools can match. Read more to get first-hand guidance from these successful female entrepreneurs here. Courtney and Kaja are modest about being women in business, emphasizing their positions as martial arts and teachers, but they don’t deny that their gender may influence people’s thinking. “People have made incorrect assumptions about our capabilities or our role in our own company,” they admit, but remain optimistic about how they’ve been able to succeed regardless. The Valkyrie Co-Founders have overcome many obstacles, giving them insight into three of the most important parts of starting and running a business. Before launching Valkyrie, Courtney and Kaja made an appointment with a Small Business BC Business Advisor for a one-on-one consultation tailored for their business. During their meeting, the entrepreneurs and advisor worked together to polish the business plan, which the Co-Founders successfully used to receive funding. Courtney and Kaja used the business plan to validate Valkyrie’s readiness in the market, which assisted them in receiving entrepreneurship-specific loans from Futurpreneur and Vancity’s “Be My Own Boss” program. Additionally, Valkyrie was featured as a Small Business BC Awards finalist, which led to valuable media coverage, client leads and great opportunities to network with other leading businesses. The Co-Founders also point out the awards’ potential to improve local communities and connect business owners that share similar beliefs, such as Small Business BC Awards “Best Emerging Entrepreneur” winner, Big Bro’s Barbershop. 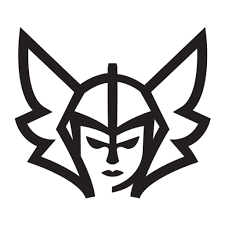 Valkyrie only incorporated in 2014, but it has already created a supportive, inclusive community. The business’ loyal followers have aided them at every stage, from growing from a park practice to meeting the challenges of creating a permanent location. And testimonials make it clear that Valkyrie’s followers value Courtney and Kaja just as much. One student even used his self-defense training to disarm a knife-wielding attacker. He ended the confrontation without anyone being injured, and controlled the situation until the police arrived. Courtney and Kaja spoke at Small Business BC Meetups Presents Starting a Sports and Leisure Business event on July 2016. On the second Tuesday of almost every month, these casual meetups address common opportunities and challenges that entrepreneurs and small business owners face today, and leverage networking sessions with valuable connections. Sign up for our next Meetup today, as space for next month’s event is limited. Courtney and Kaja’s story was made possible in part by Small Business BC and other business services. Get your business concept off the ground and growing with Small Business BC by signing up for our Business Advisor consultations and wide range of seminars. Are you a former or current Small Business BC client and feel that you’ve accomplished great things? Be our next Success Story by reaching out to us here!